You spent last Christmas in Paris and the one before that in Berlin. You don’t know where you would like to go to spend the cold but buzzing Christmas season this year, but you would still like to get away. 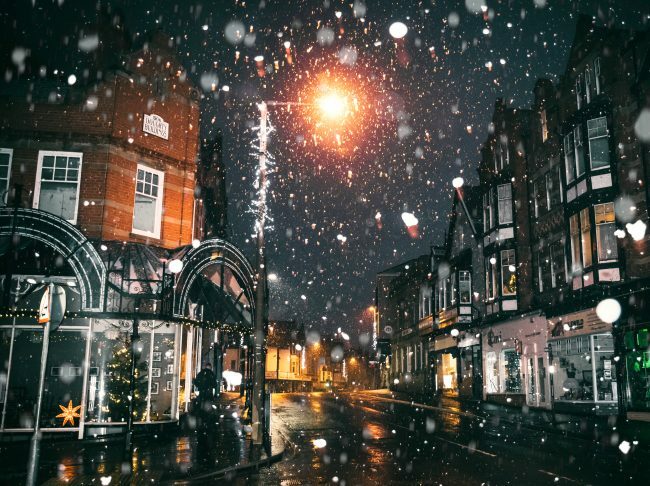 If you like to experience a shopping spree like no other, followed by some mulled wine in a cosy pub, then look no further: London is your next destination. Cobbled and picturesque streets, gorgeous Christmas lights and seasonal weather will make you want to pack the beautiful coat you have just purchased and head to the capital of the United Kingdom and the cultural capital of the world! Finding accommodation in one of the busiest cities in Europe is sometimes challenging, with many hotels being extremely overpriced and others far from the city centre. Moxy London Stratford offers you a unique experience at a great price. This modern hotel in the East of the city is perfectly located with the beautiful Olympic Park just a few minutes walk away and great transport connections to the town centre. Fancy trying some great food but don’t want to splash the cash? Head to the centre of town and venture into Chinatown, London’s Chinese quarter. With plenty of restaurants to choose from, this area will become one of your favourite spots in the city if you are a lover of Chinese and Asian food. Try Jen Cafe for a cosy restaurant with homemade food that includes dumplings and BBQ pork. The cafe will enamour you with its great cuisine and nice staff. “When a man is tired of London, he is tired of life” said Samuel Johnson, and he is right! With the thousands of pubs this historic city boasts, there is one to suit every taste. Rustic, modern, minimalist…choose your pick! The Spaniards Inn in Hampstead is known for being one of the city’s oldest pubs. Established in 1585, the likes of Byron and Dickens were once its clientele. Head there for some great ales and lager! London is known for the exquisite shopping you can do whilst visiting the city. Oxford Street, the town’s main commercial hub, tends to be quite crowded in the run up to Christmas, but you might just beat the crowds if you are up early and head there before everyone else does. Selfridges, close to Bond Street Station, sells everything from perfume and makeup to clothes and accessories. The price tag ain’t cheap, but if you fancy treating yourself, this is definitely the place to go. If you are planning an escapade this Christmas, make London your destination. Its wonderful architecture will captivate you and its narrow streets will make you want to get lost in the city’s buzzing and electrifying fabric. If you would like to shop for bits ‘n bobs and have a chin wag with a local, book that trip…now!